I’ve seen a lot of people asking the same question over and over again; “Will I get banned for submitting my site to thousands of directories?”. The answer is simple – YES, but no… It really depends on how you go about doing this. If you submit your site to thousands of directories at once, or in a short amount of time, there is a really good chance you will get banned by the search engines. You can avoid this by submitting to a maximum of two or three hundred directories each month. Bulk directory submissions, per day, can be a problem but they’re usually not. Let’s say you submit your site to one thousand directories per day. 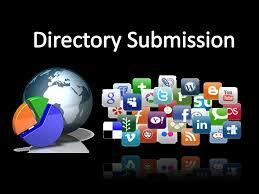 Chances are the majority of those directory owners will not be online to accept submissions at the same time. Let’s be generous and say half of your submissions are accepted. That’s five hundred directory submissions per day. Now let’s be realistic and say half of those directories are not even active, or as active as others. That’s two hundred fifty directory submissions per day. This isn’t too bad. Chances of Google picking up all of those submissions in a day are incredibly slim. This will prevent you from getting banned from Google and other search engines for bulk directory submissions, which some robots may mistake for spamming. I usually don't do anything in bulk when it comes to my website. Google is way too hard on website owners when it comes to seo.